Reliable Sources:?Kavanaugh; Katie Couric;?Schlapp; dual realities. Brian Stelter in a twitter spat battle royale with Amber Athey. Scarry: Flake fell for a trap set by Dems and?mainstream media. Panic as barrier collapses?at MSNBC’s ‘Global Citizen Festival’. Learn more about Harris Faulkner. ?Locals on Harris’s Town Hall. Mediaite picks the best 6:00 pm cable news show. ?Sunday talkers. Jedediah: No ‘bad blood’ at The View? (social media another story). Updated 2:22 pm? ?Use our valuable bandwidth to post your?cable news comments?in this weekend’s open thread. Profile: How life prepared?Abby Huntsman?to debate Whoopi. You’re fired: Fox News?sacks Kevin Jackson over ‘skanks’ crack. Bourdain’s return to book stores is not what you might expect. breaks down the Kavanaugh allegations. Brian requests examples of media malpractice, twitter provides. Today’s fake news: CNN reports allegation, omits the retraction. Doug McKelway recalls his close encounter with Ford’s attorney. Katz: Cable newsers coverage plans for the Kavanaugh hearings. Greta van Susteren goes to Congress. ?Today’s lawsuit settlement. Updated 7:54 pm? ?Use our valuable bandwidth to post your?cable news comments?in today’s open thread. Tuesday’s numbers: Hannity-Tucker Carlson-Maddow 1-2-3. Q&A: Jake Tapper. ?Audio Q&A: Ben Shapiro. ?Today’s lawsuit. Today’s fake news: ‘shifting’ denials. ?CNN now airing cartoons! Fox News ad cites praise for MacCallum’s Kavanaugh interview. Megyn gets standing O at year one tribute. ?Opinion done right. for the new Michael Moore flick. Impartial CNN anchor: Cruz ‘signed up for‘ restaurant harassment. Updated 6:47 pm? ?Use our valuable bandwidth to post your?cable news comments?in today’s open thread. Mark Levin show tops the charts: Sunday’s #1 cable news show. Monday’s numbers: Maddow-Tucker-Martha MacCallum 1-2-3. Post ‘media columnist’ rips MacCallum before the interview airs. Martha MacCallum: Here are 25 things you don’t know about me. Q&A: Martha MacCallum and the big interview;?Alisyn Camerota. Wulfsohn: MacCallum earns praise; Zurawik: a ‘เล่นเกมได้เงิน พันทิปvery friendly‘ chat. CNN lets anti-Trumpers get away with?anything? ?Weekend numbers. Friday’s numbers: Rachel Maddow-Sean Hannity-Tucker 1-2-3. Exclusive: Martha MacCallum with Brett Kavanaugh and wife. Today’s fake news: Maryland PD shoots down CNNer’s report. Betsy watches that ‘terrible media show‘ so you don’t have to. 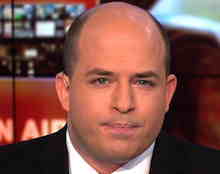 Stelter takes twitter heat over?pontificating about Kavanaugh. Megyn shaking up Today:? defends Kavanaugh, slams Senators. Katz: Media spend hours speculating over routine WH meeting. Joslyn: I was Anthony Bourdain’s censor. ?Dems double-duck Chris. Updated 5:23 pm? ?Use our valuable bandwidth to post your?cable news comments?in today’s open thread. Reliable Sources: Right-wing smears; bad?Fox; Anita Hill; Trump. Five things you didn’t know about Kat Timpf. ?Perino: 20 years. Lisa Ling discusses season five of This Is Life… ?Fake?fake news. Comcast wins auction for Sky. ?Pundit Steven Miller leaves CNN. Facebook, instagram, twitter: where in the world is Jamie Colby? Girlfriend accuses top Dem of assault: no coverage on MSNBCNN. Again and again, Andy Lack let accused harassers keep their jobs. Joyella: Is Fox’s Tucker Carlson destined to dominate cable news? Q&A: Pippa Scaife. ?Video Q&A: Mika B. ?Audio Q&A: Jesse Watters. Updated 2:45 pm? ?Use our valuable bandwidth to post your?cable news comments?in this weekend’s open thread. Thursday’s numbers: Ingraham-Sean Hannity-Maddow 1-2-3. Concha: MSNBC, CNN must stop reporting gossip as gospel. Fox’s Fin Gomez jumps to CBS.?? Ronan?replaces Les Moonves. Audio Q&A: Dana Perino talks money management, and more. 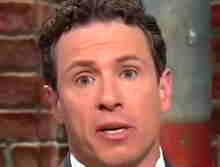 Today’s Fake News:?Chris Cuomo,?Jim Sciutto. ?Best 5pm show? Griswold: Media paint Kavanaugh as guilty until proven innocent. TV made the radio star: Cuomo won’t worry?about his ‘language’. Suzanne Scott, Fox’s ‘miracle worker‘. ?Bee: I ain’t afraid of no Fox. …and more, in our world-famous comment threads. …and more, in our award-winning comment threads. Thursday numbers: Rachel Maddow-Sean Hannity-Coop 1-2-3. Keeping Them Honest? Coop lets hurricane falsehoods stand. MSNBC: Trump is?making water wetter, or something like that. Showtime’s The Circus adds MSNBC analyst Schmidt to its cast. CNN calls Google bias ‘conspiracy theory’, ignores leaked tape. More Mediaite ‘best show’ decrees: noon, 1pm, 2pm, 3pm 4pm. Fox General Counsel to leave when Disney takes over. ?It’s a boy! Video Q&A: Bret Baier, Andrea Mitchell, Norah O’Donnell (v/TVN). Updated 5:31 pm? ?Use our valuable bandwidth to post your?cable news comments?in today’s open thread. Wednesday’s numbers: Maddow-Sean Hannity-Cuomo 1-2-3. TV Eyes appeals Fox News court win. ?What does Mika watch? Hasson: CNN ignores switchblade assault on Repub candidate. Hurricane Florence coverage rundown. ?Jim Acosta in Toronto. Impartial CNN anchor’s ‘reality check’ blames Trump for storm. Wulfsohn: ‘Moronic’ Jeffrey Toobin is a ‘shameless fearmonger‘. Audio Q&A: Neil Cavuto weighs effects?of 2008’s financial crisis. FNC introduces Krauthammer scholarship. ?Three days with Coop. Updated 7:20 pm? ?Use our valuable bandwidth to post your?cable news comments?in today’s open thread. Jeff Zucker?back to work. 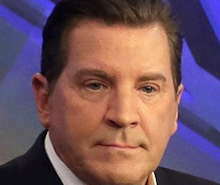 ?Bolling ponders?a career change. Fox Nation announces its talent roster for streaming service. Jake Tapper is donating his movie advance to a special cause. Scarborough’s 9/11 op-ed…seen through the eyes of a victim. Monday numbers: Maddow-Lawrence-Sean Hannity 1-2-3. 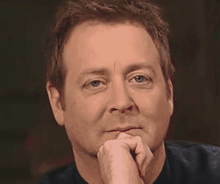 Apparently Andy Levy has been dropped from?Unfiltered. Zucker play: Obama appointee Sciutto promoted to anchor. Amanpour taking over Charlie Rose slot. ?Weekend numbers. Scarborough takes heat over 9/11 crack, does semi-backpedal. Scarborough attacks Trump,?says he’s?worse than 9/11 attacks. Chris Stirewalt makes book. ?Arthel Neville at?Extra! reunion fete.